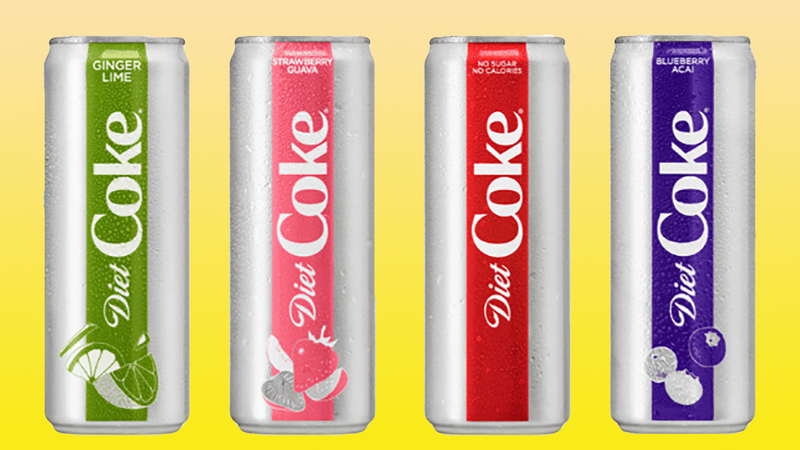 Are Diet Coke’s Fruity New Flavors the New Seltzer? We haven’t had a sip of non-carbonated water for what seems like decades now, and when there are so many different types of flavored seltzer water out there, why would we? Diet Coke got in on the game last year when they launched four new fruit flavors, but for 2019, they’re trying to lure us away from our beloved seltzer even more cunningly than before. That’s because they’ve just released Strawberry Guava and Blueberry Acai Diet Coke, two flavors we haven’t seen on any seltzer cans. Like seltzer, these flavors don’t have any sugar or calories (though they are sweetened artificially), so you can sip away without actually filling up. Unlike seltzer, they’ve also got caffeine, something worth considering when you’re reaching for an afternoon pick-me-up at the office. Kerri Kopp, group director for Diet Coke, told Today Food, “[W]e learned that younger Americans have an affinity for bold, yet refreshing and great-tasting, flavors in their favorite foods and beverages — from hoppy craft beers to spicy sauces,” and that’s what inspired the array of new Diet Coke flavors. Apparently, the brand has also been working on Diet Coke with fiber and Diet Coke with coffee, but those aren’t slated to be released anytime soon (and we’ll be the first to admit we don’t really see the appeal of a soda that’s got bits of fiber floating around in it). Diet Coke Blueberry Acai and Diet Coke Strawberry Guava join last year’s flavors, which include Twisted Mango, Ginger Lime, Feisty Cherry and Zesty Blood Orange. So, can Diet Coke really compete with seltzer? It depends on how you feel about drinking sweetened beverages. These new flavors are definitely for those with a sweet tooth, so if that’s not you, you might want to skip these two new innovative flavors, but if you’re looking for something with a little more personality than sparkling water, they might be right up your alley.